Register Log In ECN Forum Forums General Discussion Area Convert 240V to 208V? Is this panel fed from the utility co? If so, then the POCO is where the modifications are started. If you are just running motors it probably doesn't matter and a lot of other equipment can be jumpered t0 run 208 or 240. Like John says, this is a PoCo option. They will need to add another transformer, probably replacing the small one you have too. Expect a fee for this. I bet your transformers look like this. The direct answer to the question you actually asked is, no its not hard because its the same panel. After that, see the above answers. Everything up to the panelbd will be replaced (the entire service). There is no question on the line side. I assume (I am going over to look at it tomorrow) that only the 3 phase loads are connected to the middle bus (in this case maybe a rooftop unit - it is retail). So when it becomes 208V the middle phase will be un-balanced. In addition - the panelbd is currently the service entrance. That will no longer be the case after the change (there will be a line side main disconnect). So the neutral needs to be separated (I'm thinking out-loud). Any other considerations? You can swap some breakers around and balance the service once you get real 3p wye in there. You can get a head start by going in with your clamp when they are running their normal load and tagging the current on each circuit. Then you will have a starting point for the rebalance. We used to have to do that in computer rooms sometimes because each machine might have significant single phase loads and the luck of the draw might get some unwanted imbalance. Once you get an OK from the POCO, and they do their thing at the pole, you should be good to go. 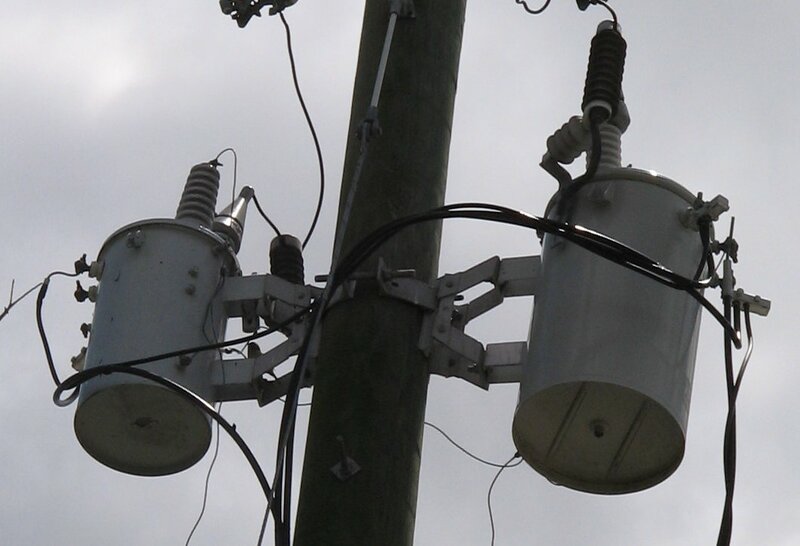 You may find 2 pole, 240 volt circuits on the 'B' phase, and whatever 3 phase equipment you have on the site. As to maintaining a balance, Gregs head start is a good plan. We didn't see much in computer rooms but it usually will be the L/N loads he has to move. They are all on A/C now. Over the years, I saw many panels with nothing on 'B' phase. Most were in factorys that were vacated, and 'quick' converted to other uses. A lot of breaker blanks with 'RED LEG' written on them.